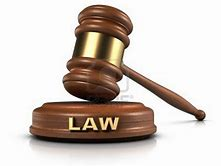 The Lagos State High Court has dismissed a N200m fundamental rights enforcement suit filed by a lawyer, Fredrick Anaje, against residents of Peninsula Garden Estate in Lekki, Eti Osa Local Government Area of Lagos State. The lawyer had prayed the court to declare that the residents violated his fundamental right to movement under Section 41 (1) of the 1999 Constitution by erecting a wall on Ogombo Road in the area. Anaje, in the suit, explained that Ogombo Road, which the residents blocked, was his normal route to his house in Ogombo town. For the alleged violation of his right, the lawyer prayed the court to order the residents to pay him damages in the sum of N200m. Joined as defendants in the suit were Mr. Sulyman Bello, Olu Adewusi, Dr. Maureen Igwe, Nicholas Adesina, Abiodun Ekeade, Funmilayo Ekeade and Femab Properties Ltd. However, the court, in a judgment by Justice Wasiu Animahun, dismissed Anaje’s suit for lacking in merit. The judge said the lawyer could not complain of violation of his right to freedom of movement since there were alternative routes that he could ply. The judge held, “The restriction envisaged under Section 41 of the Constitution must be total. This is not the case here.